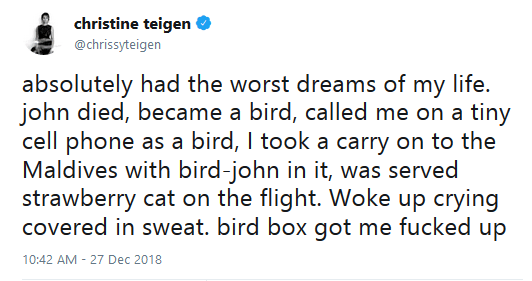 Bird Box took Netflix by storm over the holidays. In the film, Sandra Bullock is one of the survivors of a worldwide phenomenon in which treachurous entities inflict madness upon people who see them. To survive, she and the others — including two children — blindfold themselves almost all of the time. She also takes a box of birds small birds with her. The birds alert her when the entities are nearby. Viewers were haunted by what they saw. Others were merely perplexed or critical. And a lot of them were downright thirsty. 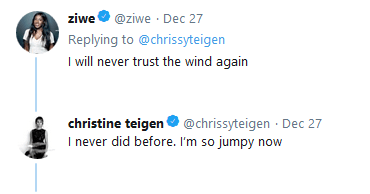 Chrissy Teigen could just as easily have had this nightmare after watching Netflix’s The Dragon Prince, if fan theories are correct, but she makes it very clear that this deeply anxious dream came from Bird Box. Children in peril can be a powerful motivator for audiences — thoughs some see it as a cheap and manipulative tactic, others see it as a vital component of telling a good suspense story. 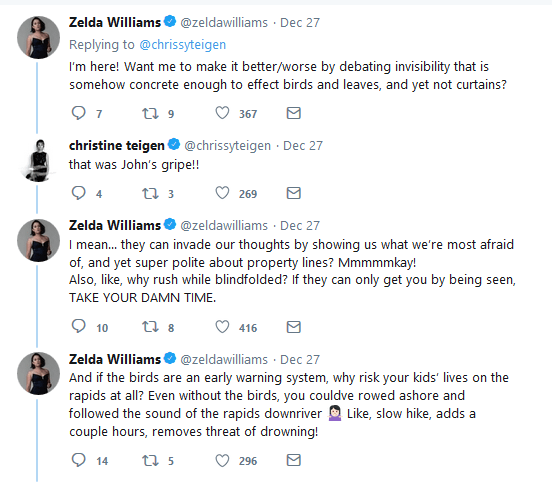 Even devoted horror fans have their weaknesses, and Bird Box got to Chrissy. Sometimes examining a story for what appears to be problems with worldbuilding can be a welcome distraction from absolute terror. For Zelda Williams and John Legend, it’s also just part of consuming media. 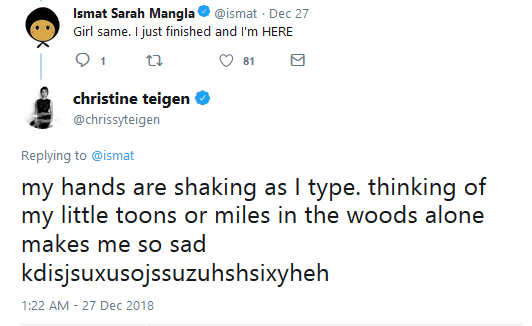 Clearly, Chrissy is still recovering. Trevante Rhodes played Tom in Bird Box. As a fellow survivor, he and Malorie end up forming a close bond … before he sacrifices himself to save her and her children. Gary Shirley Gets Vasectomy, Tells Wife: I Did This For You!